If you’re a parent, you know that when on vacation or attending sporting tournaments a hotel or resort with a pool is a must in order to keep your kids entertained. Travelling with a hockey team of 17 eight to nine year olds, the hotel pool was the best way to keep the boys contained and entertained. As a hockey mom, we quickly decided that the fathers should be left to deal with the splashing, yelling and squealing and we retreated to enjoy a glass of wine and conversation that did not include the words puck, stick, skates, goal or jock…. Summer of course signifies pool openings. 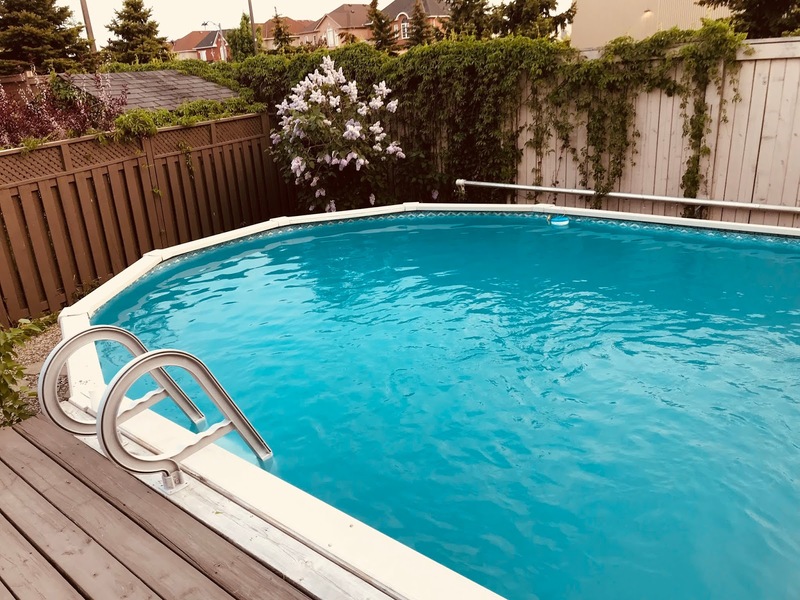 If you have a backyard pool similar to hotel pools, you know it’s a great way to entertain kids and if you’re like me, the idea of “chlorinating them” before bed to remove the dirt, grime, germs and stink of the day! 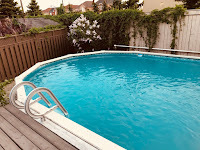 While pools and hot tubs are great entertainment devices, if not maintained properly they can be a source, a cesspool if you will of infectious pathogens that can quickly ruin your summer fun. If you don’t want to believe me, check out the latest Morbidity and Mortality Weekly Report where the CDC reports that nearly one-third of disease outbreaks caused by chlorinated or treated water can be linked to hotel pools and hot tubs. I’ve never been one to use a public hot tub, but you can be assured I will not likely set foot in one again and will definitely reconsider my use of pools (at the very least, my head will be kept above water! According to the CDC between 2000 and 2014 there were 493 outbreaks in the USA associated to recreational water that caused a total of >27,000 illnesses and 8 deaths. Of the 493 outbreaks, 158 of the outbreaks were directly linked to hotels, motels, lodges and inns. The most common illness contracted was folliculitis caused by Pseudomonas (aka hot tub rash) and the reason I avoid public hot tubs. Legionella (causes severe pneumonia) was the second most common pathogen identified in the water followed by Cryptosporidium (a parasite that causes GI illness and diarrhea). Of interest, 22 outbreaks were associated with chemical exposure due to excess chlorine, disinfection by-products or altered pool chemistry showing even with pools the use of chemicals properly needs to be considered or you can easily amass >1000 cases of illness associated with chemicals. With June around the corner you may also want to know that the highest number of outbreaks occurred during June to August. It shouldn’t be surprising – it ties in to the warmer months in many parts of the US and school break and summer vacations! Stay safe this summer and perhaps consider keep you head above the water! In the infection prevention world, spring (usually) signifies the end of flu season and the beginning of education season. May starts of off with “Save Lives: Clean Your Hands Day” on May 5th which kicks off the North American infection prevention conference season with IPAC Canada’s National conference at the end of May and the APIC conference in early June. The opportunities for education are endless. As noted in past blogs, the Teleclass Education by Webber Training is an international lecture series on topics related to infection prevention and control. The objective is to bring the best possible education to the widest possible audience with the fewest possible barriers when trying to access it. As summer creeps up on us, be sure to check some of these teleclasses out! The future of infection control – bright or bleak? When I started in the infection prevention world 15 years ago, fomites (or the patient environment) was still being debated in terms of the contribution to infection transmission. 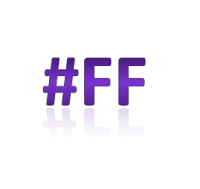 Most would agree that the potential role of fomites in the transmission of disease required further study. No one was really ready to take a stance. In 2006, German researchers conducted a systematic review of the literature, looking at the ability of infectious organisms to survive on inanimate surfaces. The review found that Gram-negative bacteria persist for longer periods of time than Gram-positive bacteria. The data was mounting. Today, I think it’s safe to say that we’ve all drank the Kool-Aid and believe (or at least agree) that pathogens can be transmitted from fomites and that fomites have been directly related to outbreaks. Unfortunately, while we know this, our ability to ensure that fomites do not lead to transmission continues to plague us. Case in point is a recent study published by a group of researchers from the UK looking at what is being touted as being one of the largest outbreaks of Candida auris. In investigating the outbreak, researchers found that axillary thermometers (armpit thermometers) had been used in 57 of the 66 patients (86%) of the patients infected with C. auris. While C. auris was rarely detected in the general ward environment, researchers were able to culture samples from the medical equipment and see it on the surface of thermometers using a scanning electron microscope. The only way the outbreak was controlled was removing the thermometers from use. This outbreak is not the only outbreak associated with thermometers. Similar to the focus over the last several years of ensuring that the environment is being effectively cleaned and disinfected through verification programs, so too is the need to have programs and processes in place to ensure that multi-use patient care equipment is being properly and effectively cleaned and disinfected between use. Infectious pathogens are opportunistic. If we let our guards down, they will find a way to proliferate, contaminate and infect our patients. I couldn’t help it…..I’m a geek, I’ve seen all but the last Star Wars movies - it’s purchased, just finding a night to watch it! May the 4th really has nothing to do with this week’s blog….May 5th on the other hand means everything! Each year, May 5th is known as “Save Lives: Wash your hands day”. Truth be known EVERY day should be wash your hands day, but on May 5th, the WHO and other infection prevention associations from around the world use May 5th (and the days surrounding it) to promote, educate and REMIND people of the importance of hand hygiene. 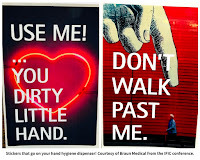 In trying to come up with a hand hygiene topic this week I decided to instead pay homage to a number of blogs that have been shared on the Talk Clean To Me blog. I hope you’ll enjoy the walk through history and reread at least one or two of them! I TRIPLE DOG DARE you to wash your hands: where I referenced my favorite Christmas movie before focusing on a study that was commissioned by the Joint Commission in 2008/2009. The study found that doctors and nurses fail to wash their hands with alarming frequency, contributing to the 247 deaths caused each day by preventable hospital infections. A+ or F? What’s your Hand Hygiene knowledge grade? Which challenged you to be positively deviant and take a hand hygiene quiz where the objective is to answer based on how NOT to follow hand hygiene best practices. I dare you to try it! What is your child’s definition of good personal hygiene? I reviewed a study that investigated the knowledge and beliefs towards personal and household hygiene of college students (AJIC,2012;40:940-945). When looking at personal hygiene (hand washing, bathing and tooth brushing), women reported higher rates of “compliance” than men. Thankfully, almost 75% of the study participants reported washing their hands after using the toilet. I’m sharing this one as tonight I ate out with my son AFTER his hockey try out. He’s nine. He didn’t shower, and almost didn’t wash his hands before we ate. I thought I was dealing with a teenager as he moped towards the bathroom…. I know May 5th is a Saturday and many of you will not be a work, but I hope that doesn’t mean you’ll stop thinking about hand hygiene and how “Just doing it” saves lives. Perhaps on weekends when at home you’re not thinking about saving lives, but I hope you’re thinking of saving yourself from ingesting whatever bugs you’ve picked up through your travels! 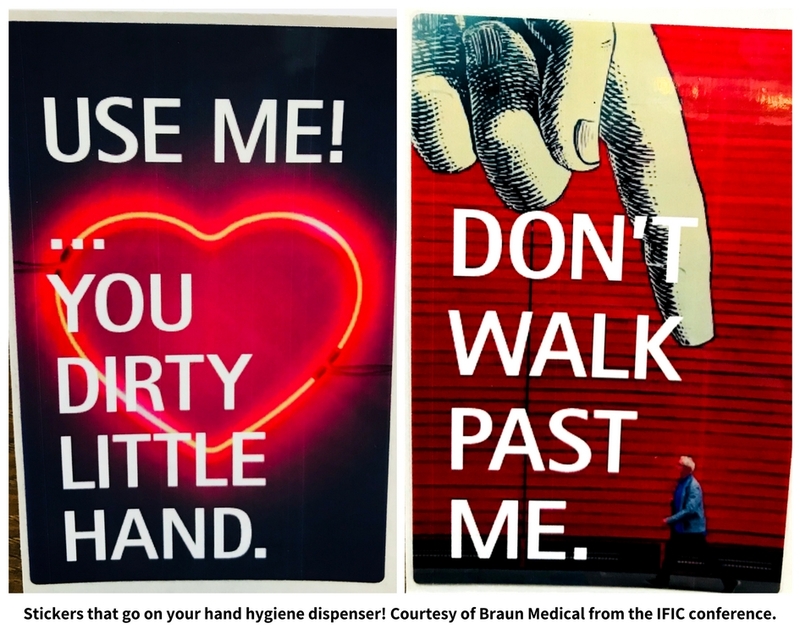 PS – this week’s picture is courtesy of Braun Medical from the IFIC conference last week and the what I think is a BRILLIANT educating campaign by developing stickers that go on your hand hygiene dispenser!